Looking for unique wedding favors? Gone are the days when newly wedded couples give bells and bride and groom ceramics to their guests. Nowadays, there are thousands of unique wedding souvenirs to choose from. There are Love Bird Salt & Pepper Shakers, Antique Style Key Bottle Opener, Miniature Clear Acrylic Phantom Chairs, "Swish" Cup and Saucer Sets, Mini Treasure Chest and many more. I found the Mini Lanterns with Hanger the cutest. 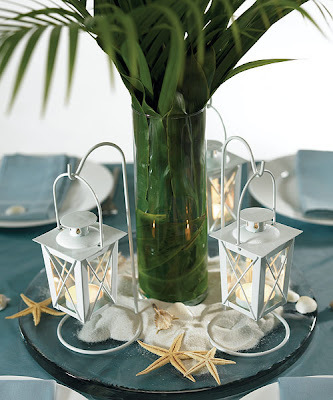 People love to receive something that they can use; the lanterns can be lit at night to lighten up a table or a small place. Your guests will be delighted with this simple but elegant wedding souvenir.